Port Augusta, a City of approximately 14,000 people, is home to the Wadlata Outback Centre, a major tourism attraction and an accredited Visitor Information Centre for the City, the Flinders Ranges and Outback of South Australia. This award winning, popular attraction welcomes tens of thousands of visitors per year. 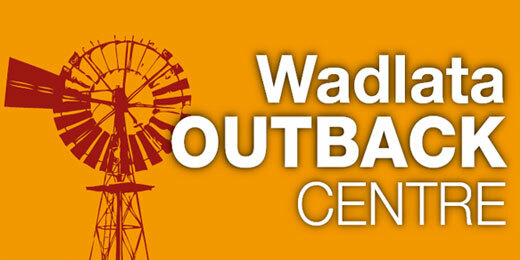 A self guided tour through Wadlata's, "Tunnel of Time", is the must before or after visiting the Flinders Ranges & Outback as it will give you a better understanding of how it evolved and make you want to get out there and enjoy it yourself. You will be transported back to where the dinosaurs roamed the land, be introduced to the people who first owned, explored and settled the land and those who still live there today. The "Tunnel of Time" is so much larger than it appears from the outside. You could walk through in 10 minutes or you may take 4 - 5 hours to explore it all..but we do offer a PASS OUT that you can use the same day, next week or 12 months time (subject to a significant upgrade). The Outback Tuckerbox makes great coffee using South Australian roasted coffee beans. The speciality pot brewed teas have proven to be very popular and the burgers are delicious. The majority of the food including the cakes are cooked on site and we bake our own gluten free loaf bread. We sell and use the regional icecream brand, Golden North. South Australian milk,Trend Drinks and Dad's Water from Balaklava add to the Local South Australian flavour. 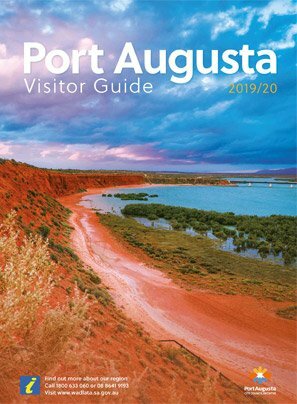 In the nationally accredited Port Augusta Visitor Information Centre you can book your accommodation or tour and the friendly tourism officers will ensure you have all of your information and maps you will need for your stay in Port Augusta, the Flinders Ranges & Outback of South Australia. 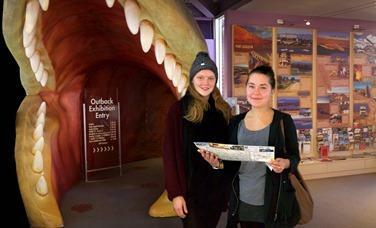 We also provide information for your trip ahead including Eyre Peninsula, Western Australian and the Northern Territory. The gift shop has a great range of gifts, native bush foods, maps, books and general souvenirs suitable for all age groups.